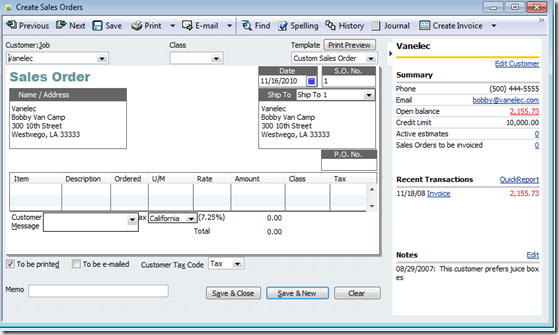 Intuit has released the QuickBooks 2011 R4 update to manual update. I believe that there are over 150 changes in this release, some that are significant and some that are minor. I don’t expect the entire list of changes to be announced, and I cannot list all of them here. This is the first really big “bug fix” release for the 2011 product based on user feedback. I’ve listed the major changes that I’m aware of. Many of the bug fixes weren’t described in the beta test release, so I’ve not had a chance to go through ALL of the reports. My list is based on information from the Intuit beta test, as well as some other sources. I added some additional notes based on information they released at the last moment. I provide a link to the full “official” list at the bottom of the article. In some cases I have not been able to confirm that these fixes actually work, as I wasn’t able to duplicate some of the bugs that they listed as fixed. This may be due to differences in my test data, preference setup, or edition of QuickBooks I have installed. This is always an important issue if you are in a multi-user environment, or work with client files. In some updates the file will be converted to a new format, and older revisions of the program can’t open it. Sometimes there is no conversion necessary. This time there is an interesting twist on this that I’m not sure that I understand. On one hand, they say they need to update the company file. We usually only see this kind of message if there are going to be compatibility issues. On the other hand, the message says that other users who are NOT updated to R4 will still be able to access the data. So, some changes, but not ones that cause compatibility problems. I would like to know more about this (I worry about things like that a lot). Accountants can now merge service, inventory part and non-inventory part items. 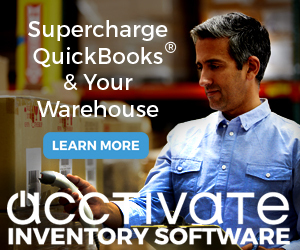 Accountants can now modify existing inventory adjustments. 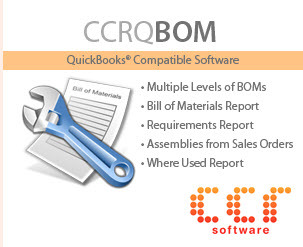 There were problems with using QB 2011 to work with an Accountant’s Copy from QB 2010. These should be resolved. You will receive the correct account status messages when connecting to the file transfer service. Enterprise Solutions V11 and QuickBooks 2011 Premier Accountants Edition added the ability to open two company files at the same time (with restrictions). If you had one company file open, you had to use the desktop icon or double click on a company file to open a second file. People were confused sometimes – clicking the Open option on the File menu wouldn’t open a second file, it would close your current file and then open the new one. Release R4 now adds another menu option, Open Second Company. In addition, QuickBooks forms may can now be saved and emailed as PDF while in the secondary company file with Multi Instances. I couldn’t duplicate this problem, so I’m not sure when it actually happened. But it is supposed to be fixed. One of the big annoying problems in QuickBooks 2011 has been how the history pane won’t stay closed as you scroll through orders. If you close it, then scroll to another order, sometimes it pops back open. I didn’t realize it until recently, but it usually popped back open if you scrolled to an order that used a different template. This has been fixed! I know many people who will be VERY happy about this. I don’t know why they didn’t offer the history pane on sales orders in the first release, but thankfully they have finally added this feature to this order type. Now that they fixed the bug when scrolling, this should be a welcome change. If you use the Add/Edit Multiple List Entries feature to add new items, in some cases the copy down option would not show the correct results. The Total Quantity would only reflect the quantity of the first location. Actually, there were several issues with this function that were fixed. QuickBooks crashed when upgrading a file from 2008 to 2011 as a non-admin user. It should now tell you that you have to be an admin user. If you delete the Microsoft XPS Driver from your computer, then open QuickBooks and save a form as a PDF, QuickBooks should reinstall the driver (which is used to create PDF’s). In some situations this may instead crash your system. It is due to a problem with some installations of the .NET Framework (a Microsoft component), and if this occurs now you will be directed to a web page that tells you how to repair the problem. Intuit Statement Writer now works with Microsoft Office 2010 in 32 bit environments, but not 64 bit environments. There are a number of other bug fixes here, so this is a good update to get if you use the product. Client Data Review has a couple of changes. You can reclassify item-based transactions to or from balance sheet accounts. An icon has been added to help you find the Find Incorrectly Paid Payroll Liabilities function more easily. 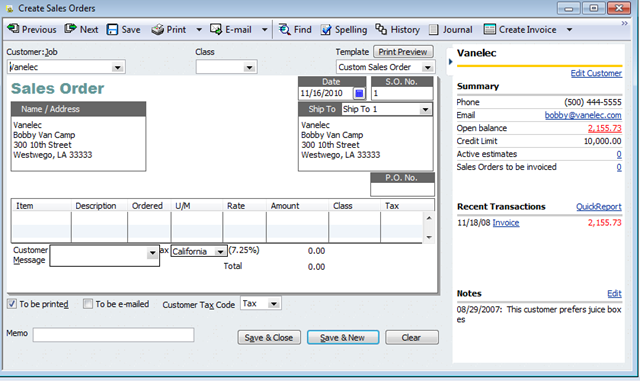 Billed Data and Due Date now function correctly on memorized reports. A bug in Company Snapshot has been fixed that caused an unrecoverable error. Custom Reports has several changes to improve the useability of this feature. The Sales Tax Code list is now available. Payroll data is now available (this is a big improvement). Several changes that relate to permissions and name lists. Inactive items can be hidden on the Change Item Prices window. Zero-value inventory adjustments ar now possible. QuickBooks File Manager is a new feature in the 2011 release, and there are at least 10 improvements and bug fixes here. Lots of good things! QuickBooks Online Backup has a number of bug fixes and improvements. Most are not huge, but several are important. I particularly like that the advertising for the service no longer will reappear even if you click the “no thanks” button. At this point I recommend that you get this update, as there are a lot of things that are fixed. I generally recommend waiting until a release comes out as an Automatic Update, so that we can see if any new problems are introduced (let OTHER people be the guinea pigs). On the other hand, if you are running the 2011 product you have already started using a version of the product that hadn’t been used by a lot of other people, so why not go ahead and get this update now? I’ve been running the R4 release for several weeks or so, and I’ve not run into any new problems. Charlie, great updated information. I did download R4 beta a few weeks ago, but that is as far as I got. Time has NOT been on my side lately. We had a customer who had issues with the sales tax reports in Enterprise 11 – they were on the phone with Intuit Support for days! I know that they will be happy it’s fixed. Still a bummer about ISW’s incompatibility with Office 2010 64-bit. Thank you, Nancy. It is funny that they didn’t tell the beta testers about 90% of the changes that they made. I had to scramble a bit to add notes about what they published at the last minute. Also, the note about not supporting IDW on Office 2010 x64 was a bit of a surprise – they didn’t say that in the beta test. I think that it didn’t make the grade in beta testing. Office 2010 has caused trouble for a LOT of software developers, particularly in 64 bit environments. I’d be interested in hearing if this update fixes the sales tax issue for your customer – I didn’t know of anyone who had run into that issue, so I couldn’t test the fix myself. Thanks again for a great update article Charlie. I think the thing that got me most excited was the Payroll data being available via the new Custom Reporting tool! This resolved the problem ‘likity-split’….. much faster than the actual time for the ‘update’ to install. When I updated to Quickbooks Premiere 2011 it changed all my vendors and suppliers to billable. Is there an option to turn this off? Our contract price includes labor and materials I cannot bill it back to the customer. “Vendors” billable? Do you mean time/expenses? 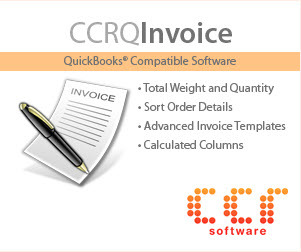 Do you have the “Create invoices from a list of time and expenses” preference un-checked? In “Time & Expenses” preferences, in the company preferences tab. How do I turn off the “New Feature” pop-up that displays every time I click on a Vendor or Customer. Checking the “do not display in future” button does not work.